iTravel is a safari specialist based in Arusha, Tanzania. We believe dreams come true, and so should our customers. everything from your trip that you wanted. iTravel was founded in 2015 by Director and Guide, Alfred August, or Freddy as his friends call him. Originally from a small village near Moshi, Freddy moved to Arusha in 2006 to train as a safari guide. Having already learned English while at school, he also learned to speak Italian in his early career. Over the years, Freddy has worked as a freelance guide for a number of safari and tour companies in Arusha before founding iTravel in 2015. Freddy regularly visits the national parks known as ‘the Northern circuit’ and has hosted people from all over the world. Over a decade of experience has given Freddy a wealth of knowledge about the flora and fauna to be seen throughout the national parks, as well as experience and contacts in the northern Tanzanian tourist industry. His approach is professional but friendly and will ensure your trip is unforgettable. iTravel are based in the city of Arusha in northern Tanzania. 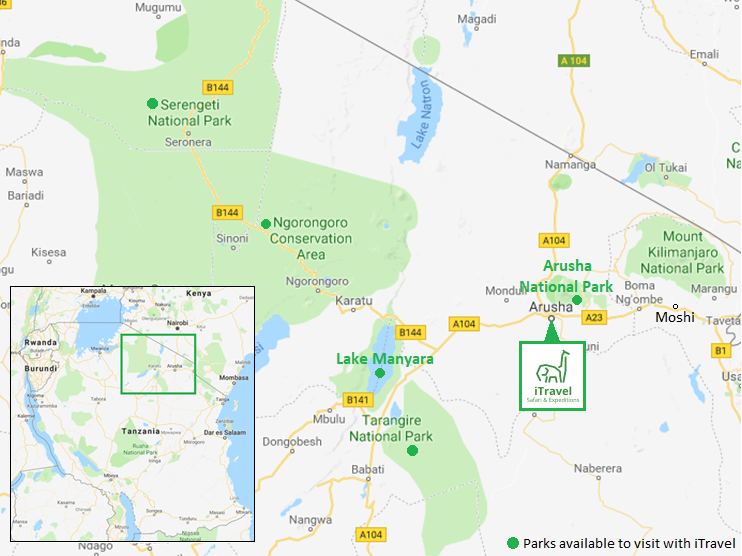 Known as the gateway to the parks of the northern circuit , Arusha is within driving distance of the National Parks as well as Mt. Kilimanjaro and Mt. Meru. Arusha is also situated between Arusha Airport and Kilimanjaro International Airport, making it an ideal starting point for travellers. With over ten years in the industry, we pride ourselves on being safari specialists. Our director and guide Freddy has an intimate knowledge of the national parks, and has developed our selection of safari itineraries based on his experience. At iTravel, we believe a high quality service is the best way to give our clients an unforgettable experience.